Singapore’s Changi Airport has been named the world’s best airport at the 2018 World Airport Awards in Sweden, according to London-based research firm Skytrax. The airport has held the top spot since 2013, making it the first airport to take the title for the sixth consecutive year. 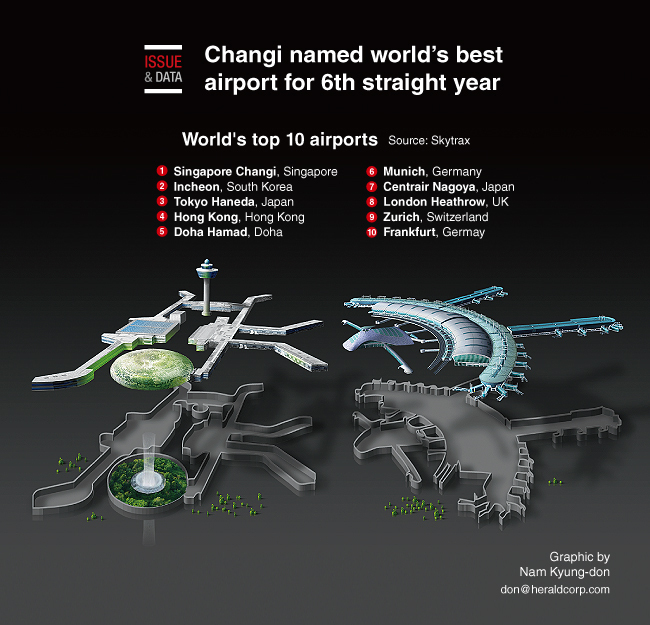 Airports in Asia dominated the top spots, with Seoul’s Incheon International Airport, Tokyo’s Haneda airport and Hong Kong International Airport taking second, third and fourth spots respectively. The ranking was based on responses by 13.73 million international air travelers over a six-month period from August 2017 to last month and covered more than 500 airports in total.